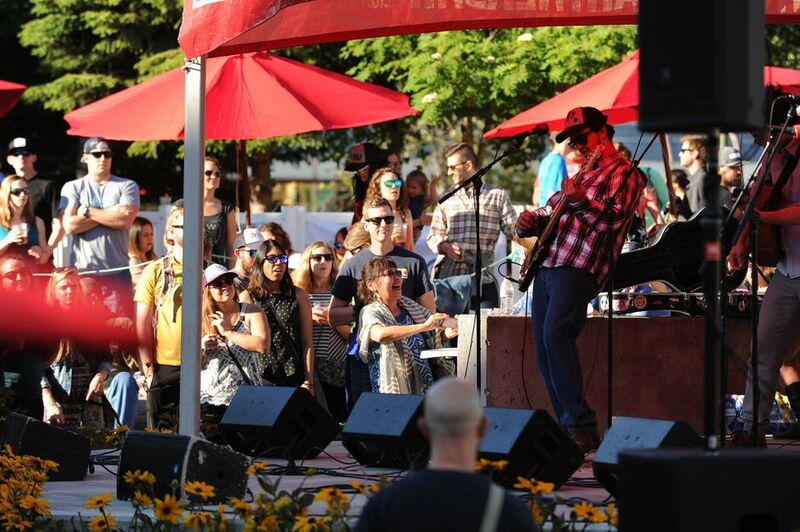 Downtown Anchorage is just busy enough to entertain, yet compact enough to be walkable – a perfect combination for curious visitors ready to explore the 49th state's largest city. 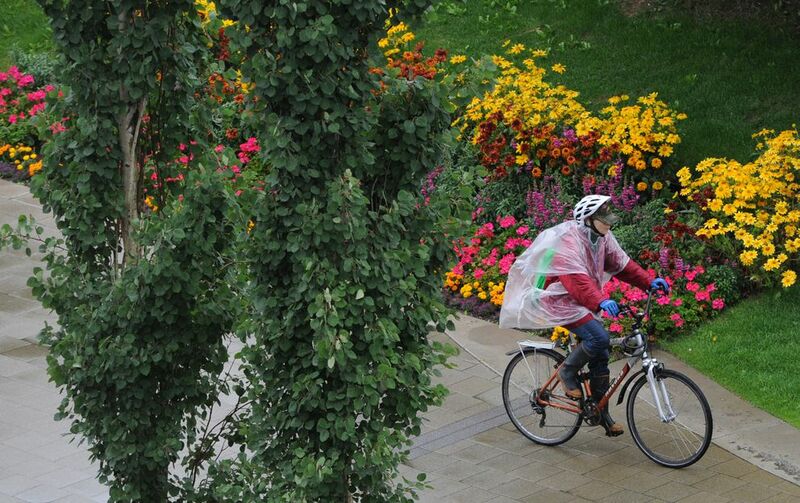 Of the roughly 742,000 people who live in Alaska, nearly 300,000 people call Anchorage home. The city celebrated its centennial in 2015, and its frontier-town past lingers alongside today's modernity; downtown is full of creative art galleries and museums, fun boutiques and shops, upscale eateries and chic cocktail bars. The downtown Log Cabin Visitor Information Center sits at the corner of F Street and Fourth Avenue and is a central location to begin Anchorage explorations. The squat log structure is topped by a jaunty, foliage-covered roof, and a quirky signpost pointing to far-flung destinations makes for an excellent photo op. Staffed year-round and especially lively in the summer, staff and volunteers can answer questions about the city and connect visitors with exciting out-of-town excursions or historic tours on an open-air trolley — a great way to see some of the city's more interesting locales. Next door to the visitor center sits the two-story cast concrete Historic City Hall, which first opened in 1936. It's one example of a downtown building that survived the destructive 1964 Good Friday Earthquake. Other noteworthy structures include art deco Fourth Avenue Theater (currently closed), many of the adorable circa-1915 cottages that line Fourth Avenue, and the Alaska Railroad's Anchorage Depot, built in 1942. As you wander the downtown lanes, keep an eye out for tall interpretive signs on street corners that tell stories of Anchorage's earliest days and point out relevant landmarks. To glimpse Anchorage's earliest roots, visit the Oscar Anderson House at 420 M St. The museum is open from noon to 4 p.m. Tuesday to Sunday, between June and August. This quintessential cottage, built in 1915, is among Anchorage's oldest homes, and the only one preserved for tours. Businessman Anderson claimed to be the 18th person to arrive in Anchorage, and his widow donated the house to the city in 1976. If the Anderson home offers a glimpse of old Anchorage, than the Alaska Experience Theater will jolt you into the 1960s with its Good Friday Earthquake show. Located at 333 W. Fourth Ave., the theater thrills visitors all summer long with movies about the terrible 9.2 temblor that transformed Alaska, wrenching streets in two, sending shorelines slithering into sea and launching fatal tsunamis in Alaska and down the West Coast. Take in the jaw-dropping footage from seats that literally shake and will definitely send seismic waves rippling down moviegoers' spines. A less popular but still spectacular show about the northern lights treats viewers to the wondrous aurora borealis. For another enriching experience, visit the Anchorage Museum, at 625 C St. This is Alaska's largest museum, an encompassing space that includes expansive and fascinating interactive displays dedicated to Alaska's Native people, compelling galleries devoted to the town's and state's formative years, and an entire children's area with hands-on activities. Recently remodeled, the spacious Art of the North galleries are simply stunning, punctuated by the gorgeous work of landscape painter Sydney Laurence. Laurence is buried just a few blocks away at the Anchorage Memorial Park Cemetery; his recognizable headstone is topped with a sculpture of Denali, a mountain he so often painted. This cemetery was established in 1915 by President Woodrow Wilson, a peaceful sanctuary that memorializes some of Anchorage's most significant pioneers — from tribal leaders to mayors and governors. Further down the spectral spectrum is the hugely popular Ghost Tours of Anchorage. Operating during evenings all summer long, this walking tour — light on the walking, heavy on the dramatics and history — will entertain and captivate visitors, from the true believers to the skeptics. Led by a suited and top-hatted man, it's an effective and engaging way to get educated about some of downtown Anchorage's more notorious and curious crimes, with plenty of history and architectural factoids blended in for variety. 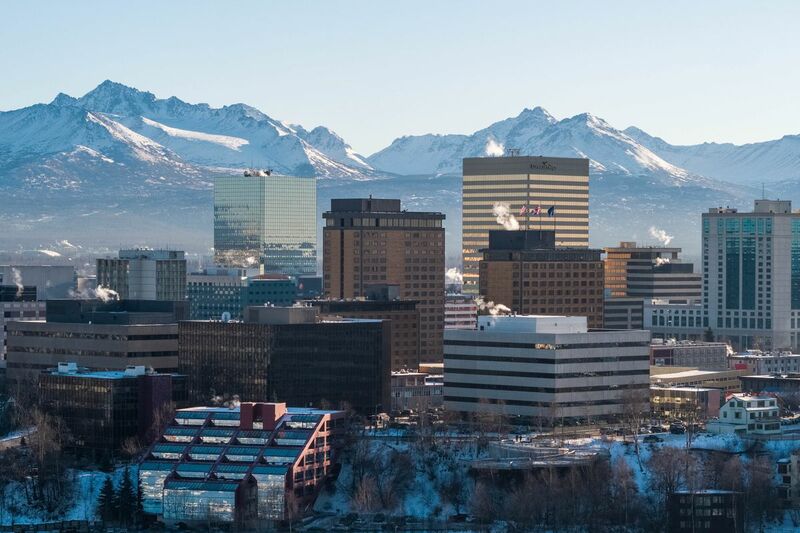 For those interested in shopping — whether that be finding an Alaska outfit, acquiring touristy trinkets or investing in interesting art — you don't have to leave downtown. Boutiques like Octopus Ink sell hoodies, T-shirts and skirts with Alaskan animals like ravens and halibut, and the ubiquitous snow skirts, a winter staple for Alaskan women. Various shops, like the Katie Sevigny Studio or the Alaska Ivory Exchange, sell Alaska memorabilia and crafts, like ivory carvings, pottery and vibrant paintings by Alaska artists. Fourth and Fifth avenues are never short of tourist shops with reasonably priced T-shirts, hats, trinkets and more.